Summer may be wrapping up but time for fun outdoors is far from over. It’s time for football season, pumpkins, cozy sweaters, and fresh cider. The warm temperatures in southwest Virginia are likely to stretch through the end of September. As the chill picks up in October many of us simply reach for our favorite hoodies, sweaters, and scarves and continue to enjoy the last bit of time outdoors before winter sets in. 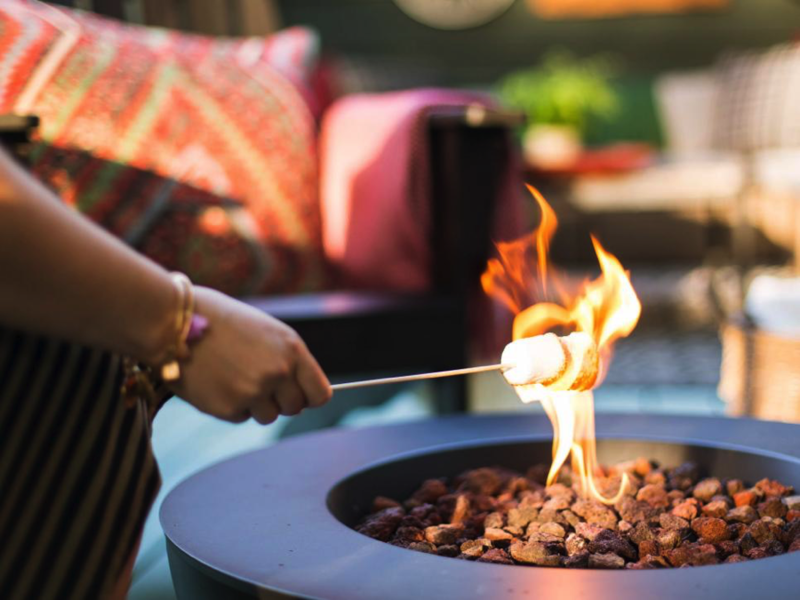 The addition of a fire pit to your outdoor space is a great opportunity to bring your family and friends together and add a little extra warmth on cool nights. Fire pits can be much more than a stack of cinderblocks and a hole in the ground. The design of a fire pit can be as unique as you. Back To Nature Landscaping & Wildlife Restoration can help you find the perfect fire pit to match your personality and needs. A fire pit can be the first feature that to an outdoor space builds on just as easily as it can be added to an existing structure or design. Designs for fire pits are now available in traditional forms and much more modern, updated versions. What really makes an outdoor space come together is the incorporation of a comfortable seating arrangement and plant design. Below is a guide to selecting the shape and height of fire pit from the folks at Outdoor Elegance Patio Design Center and Patiolo. Once all your entertaining needs have been considered, be sure to check out our boards on Pinterest for more fire pit inspiration. When you’re ready to break ground, call Back to Nature for all your landscaping and construction needs.